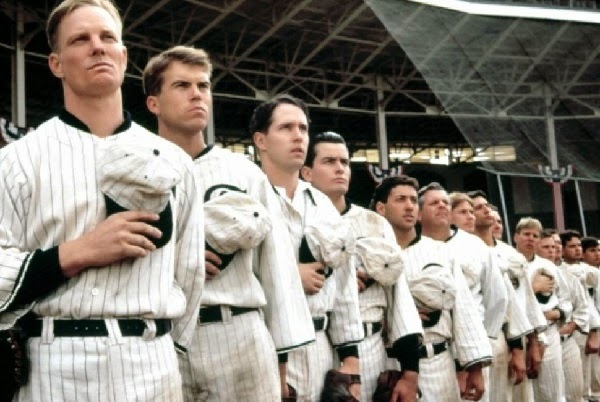 John Sayles 1988 film "Eight Men Out" is one of the best baseball films of all time. His take on the 1919 Black Sox Scandal examines the myths and realities of our national pastime. Director Sayles lovingly recreates the era in this perfectly cast film. 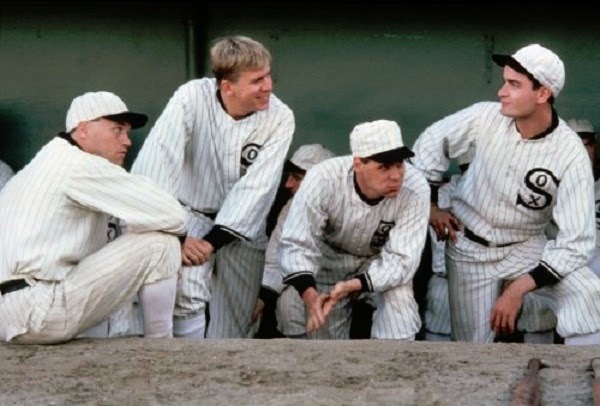 The film tells the tale of the 1919 Chicago White Sox, arguably one of the greatest teams in baseball history. Owner Charles Comiskey (Clifton James) is a tightwad who pays his boys nada. Enter gangster Arnold Rothstein (Michael Lerner). Rothstein is approached by various small time hoods with the opportunity to fix the world series. The rest is history. The cast is excellent. John Sayle's college classmate David Strathairn shines as pitcher Eddie Cicotte. 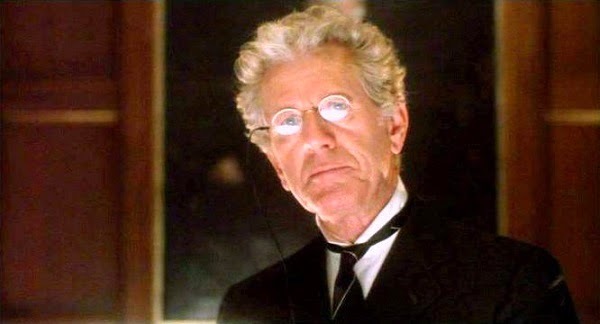 Getting Cicotte to throw games was key to the plot. His moral struggle is at the heart of the film. John Cusak is also excellent as shortstop Buck Weaver. He is aware of the fix and did nothing to throw the series, but he said nothing to stop it. D.B. 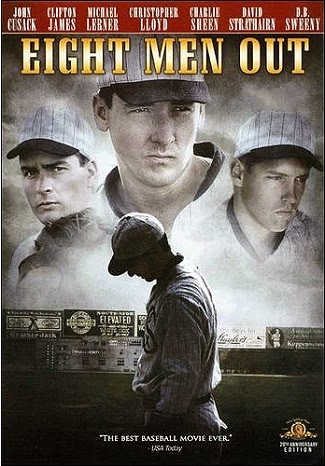 Sweeney plays Shoeless Joe Jackson, the most tragic victim of the scandal. Eight players were banned from baseball for life. This film is a wonderful examination of corruption, greed and the frailty of the human spirit in times of temptation. A classic movie from one of the world's best indie directors. Excellent picture, sound and extras. Oscar-winning cinematographer Robert Richardson's rich images are flawlessly presented. Well-saturated colors. No delineation problems or artifacts. The remastered 5.1 track is outstanding. John Sayles is someone that film students can learn from. His commentary track is great. The DVD includes a two-part, feature-length documentary dealing with the making of the film and the real events portrayed. Numerous interviews with filmmakers and historians make this an worthwhile expense of the viewer's time. A must have DVD. A great film given the excellent treatment on DVD which it deserves.